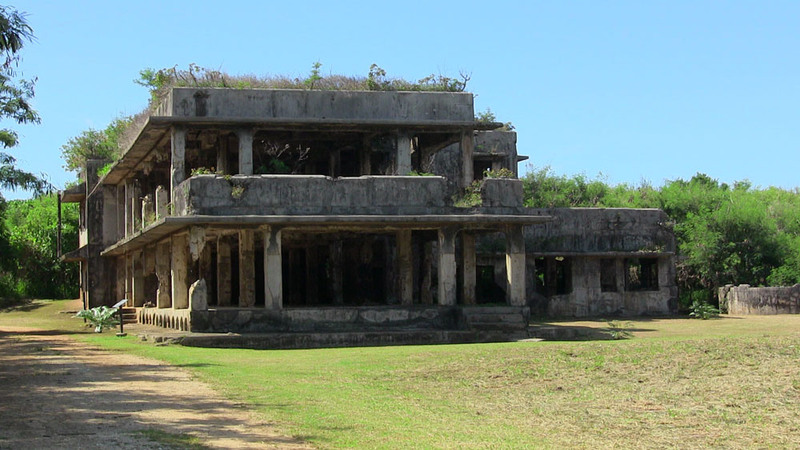 Tinian Island was the launching point for the atomic bomb attacks against Hiroshima and Nagasaki, Japan. One of three islands in the Northern Marianas, Tinian is less than forty square miles in size and located approximately 1,500 miles south of Tokyo. 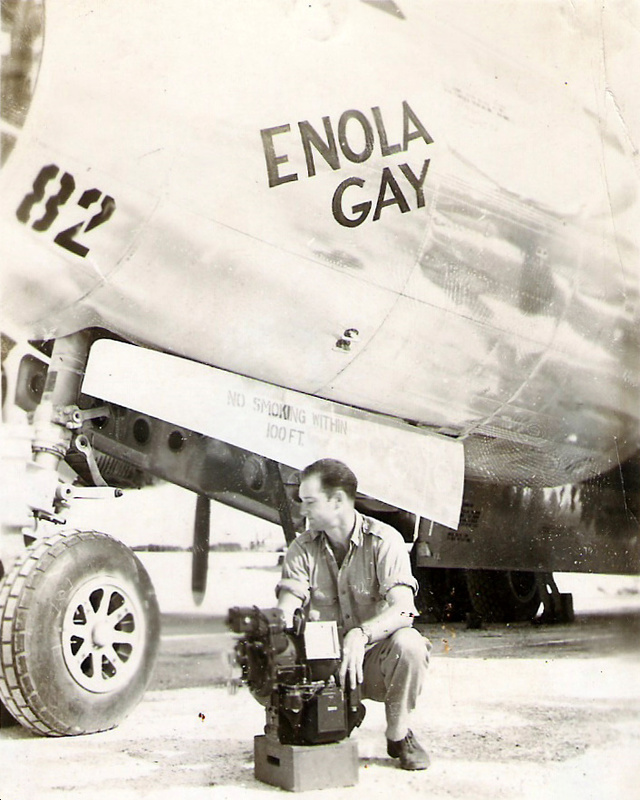 The round-trip flight from Tinian to Tokyo took B-29s an average of twelve hours. 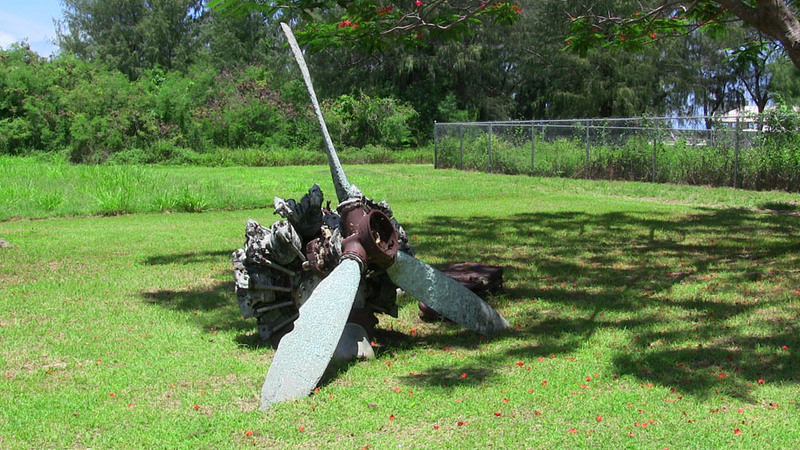 This proximity to Japan is one reason Tinian served as the headquarters of the 509th Composite Group. Tinian, easy to supply by sea and perfect for launching air attacks against Japan, was desired by the U.S. military because of its key strategic importance. 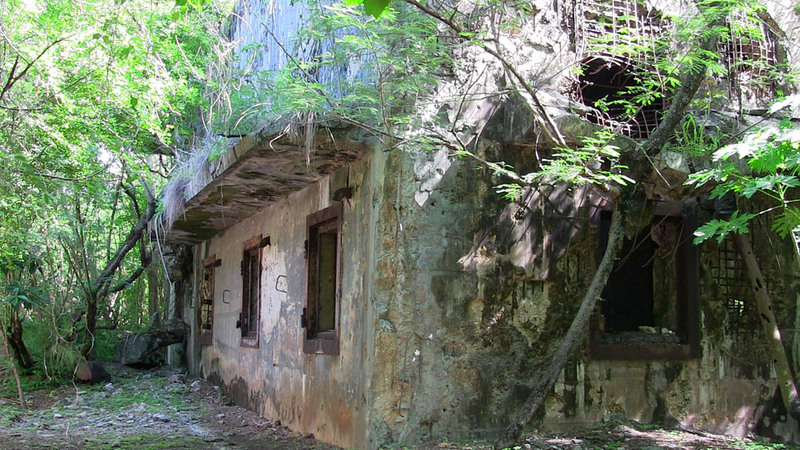 The U.S. military referred to Tinian with the codename "Destination." 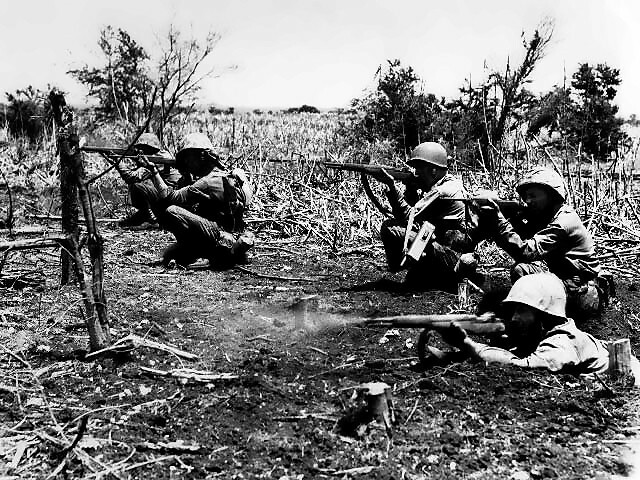 The taking of Tinian was preceded by the invasion of Saipan, also part of the Marianas, on June 15, 1944. 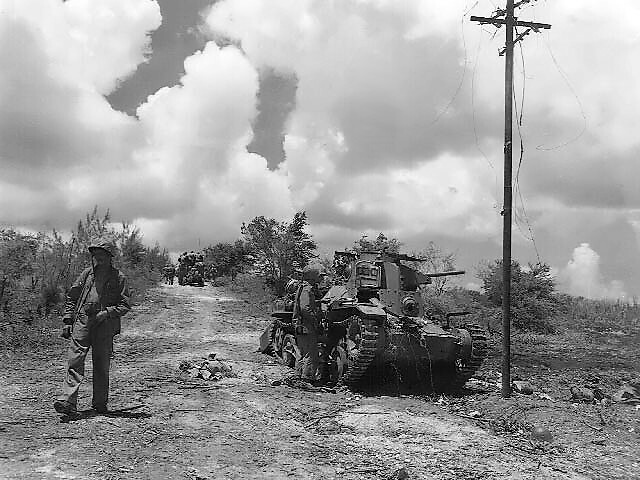 Fierce fighting by the more than 25,000 Japanese army men and the mass civilian suicides on Saipan left U.S. generals with a stark understanding that Japan would not fall easily. The invasion of Tinian, which began July 24 and ended August 1, was similarly difficult - over 300 Americans and 6,000 Japanese lost their lives. Navy construction battalions known as the SeaBees began bulldozing mere days after the island was secured. 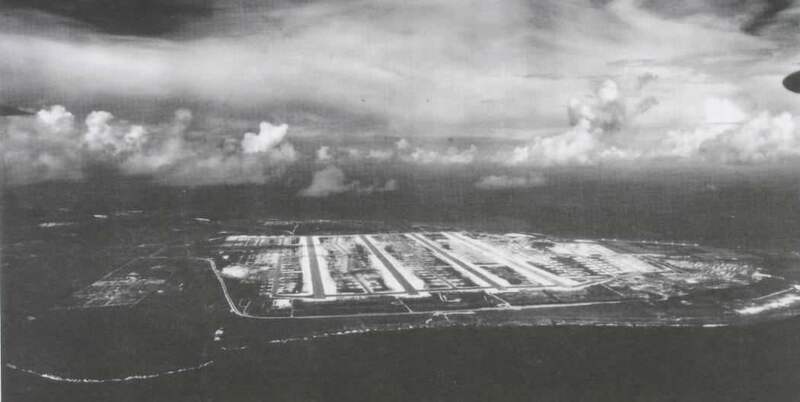 Six runways were completed within two months and Tinian soon became the biggest air base in the world. 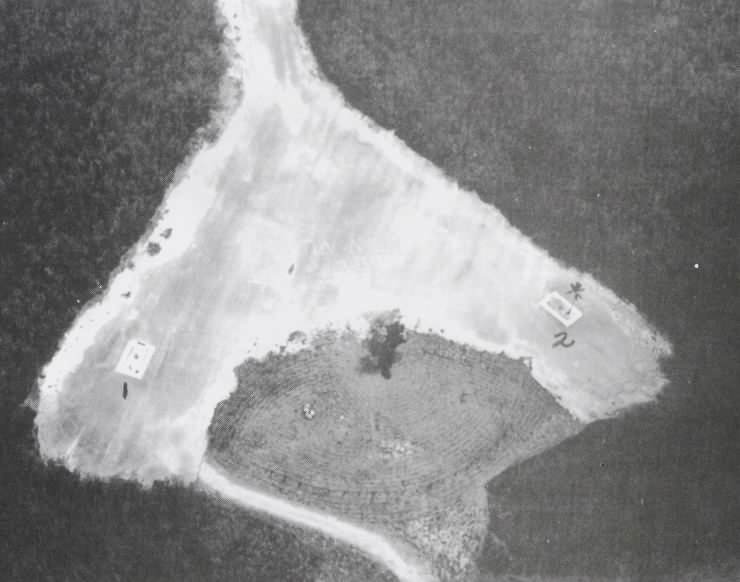 North Field consisted of four airfields and supported 269 B-29s. "Tinian is a miracle. Here, 6,000 miles from San Francisco, the United States armed forces have built the largest airport in the world. A great coral ridge was half-leveled to fill a rough plain, and to build six runways, each an excellent 10-lane highway, each almost two miles long. Beside these runways stood in long rows the great silvery airplanes. They were not by the dozen, but by the hundred. From the air this island, smaller than Manhattan, looked like a giant aircraft carrier, its deck loaded with bomber..."
~From: Richard Rhodes, The Making of the Atomic Bombs (New York: Simon and Schuster, 1986), 681. Other construction projects included: barracks, an administration building, oil storage facilities, weapons depots, an air-conditioned bomb assembly building, and bomb loading pits. The SeaBees also built docks to accommodate the USS Indianapolis, which was steaming to Tinian to deliver atomic bomb components for "Little Boy," the bomb that dropped on Hiroshima. Completing that mission, she sailed for the Philippines. Shortly after midnight on July 30, 1945, she was torpedoed by a Japanese submarine and sank quickly. Nearly 800 of her 1200 crew members lost their lives, many allegedly to sharks. 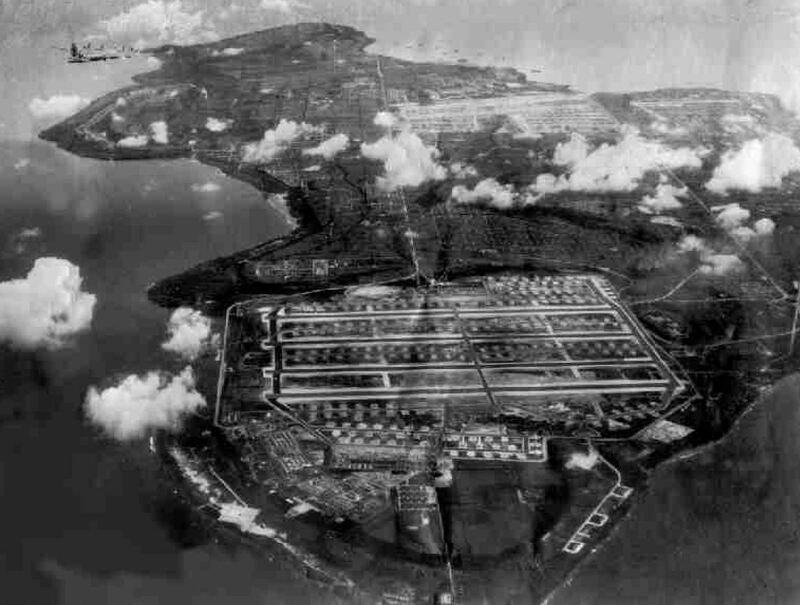 Tinian served as the forward operational base from which bombers flew to Japan. The Twenty First Bomber Command (XXI BC) launched relentless attacks on the Philippines, Okinawa, and mainland Japan. The ground literally shook as planes took off every minute of every day. 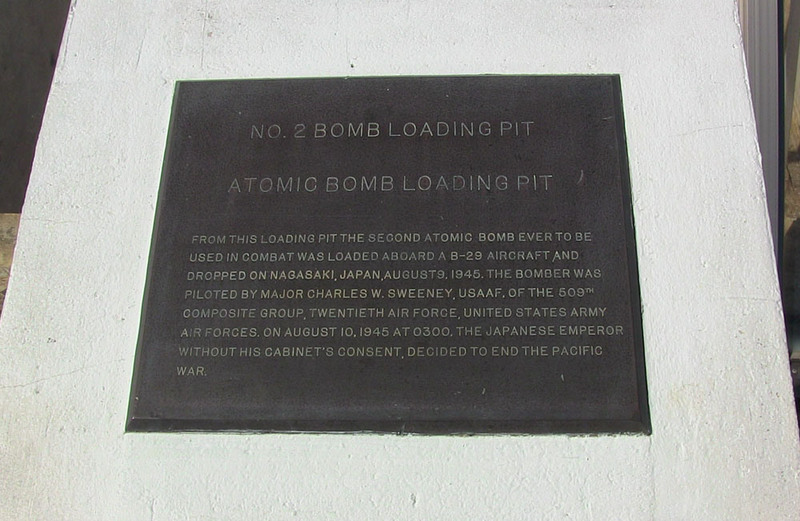 The XXI BC first consisted of the 58th Bomb Wing. 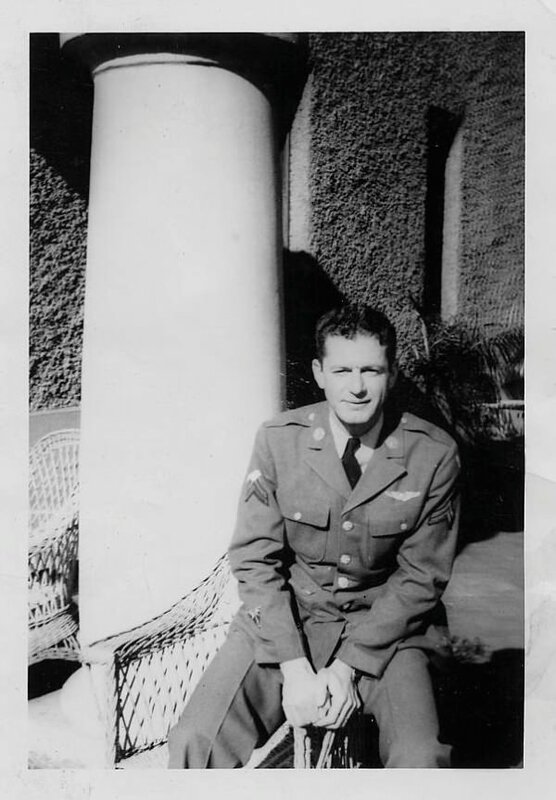 The 58th Bomb Wing only operated from bases in India and China, under "Operation Matterhorn." When the Mariana Islands were captured, the Twenty First Bomber Command was created. Because the round trip to Japan was close to 3000 miles, all bombers that took off from the island had to be overloaded with fuel. This requirement made takeoff crashes common - a problem that planners of the atomic bomb had not anticipated. 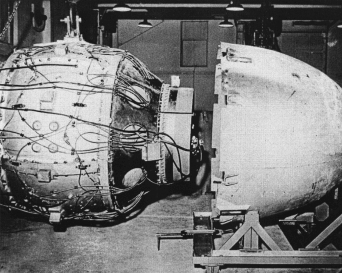 While Little Boy, a simple "gun-type" uranium bomb, would not have exploded had the Enola Gay crashed, Fat Man, a more complicated plutonium bomb that had to be fully armed before takeoff, could have. In a letter to J. Robert Oppenheimer on July 9, 1945 Columbia scientist Dr. Norman Ramsey suggested that modifications be made to the B-29s. 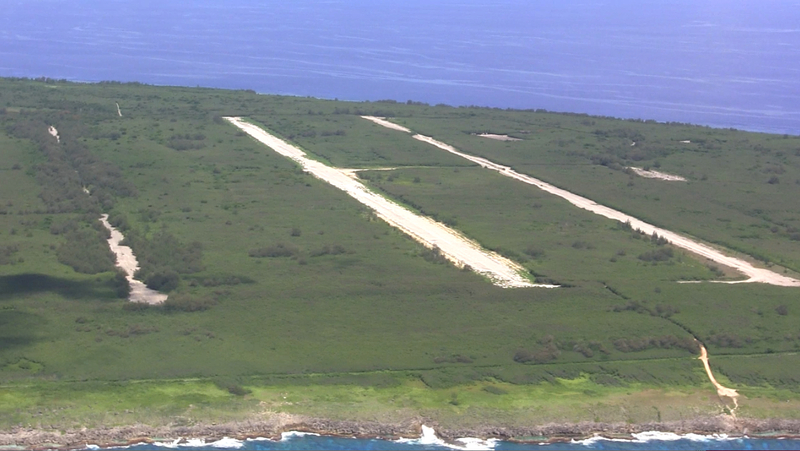 With its proximity to Japan and infrastructure in place, Tinian was chosen as the base of operations for an atomic attack against Japan in February of 1945. Preparations for the assembly of atomic bombs and the readying of the 509th Composite Group began on April 3. Prior to being sent to Tinian, the 509th practiced accurate bomb dropping in Wendover, Utah. All the bomber groups on Tinian were involved in the devastating incendiary bombing raids launched against Tokyo. The 509th Composite Group flew 51 combat missions over Japan, dropping high explosive "pumpkin bombs" over many targets. These were filled with 6,300 pounds of Composition B high explosive. The term “pumpkin bomb” applies to both the dummy concrete bombs used at Wendover, and the high explosive filled ones dropped over Japan at these targets. The dummy “pumpkin bombs” were used by the 393rd Squadron. When the group arrived at Tinian, these bombs were not used as dummy bombs, but were used as destructive forces on real targets. 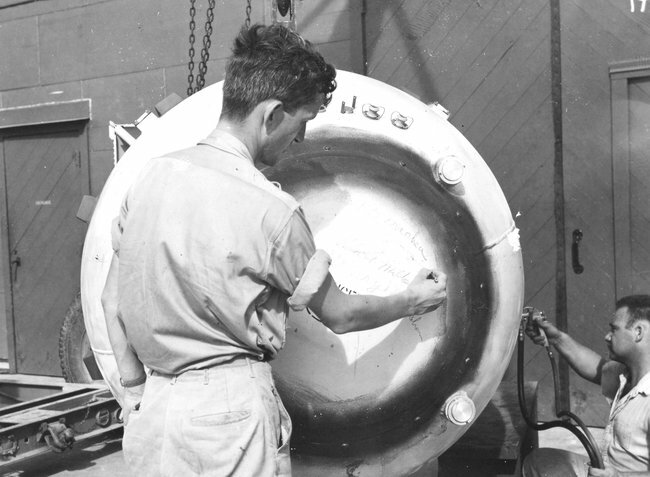 The pumpkin bomb missions were used for testing and training purposes, meant to prepare the Groups for future atomic missions. These bombs were similar in size, weight, and drop characterististics to the "Fat Man" atomic bomb. The intent of these missions was to carry them out as if they were the nuclear strikes with proper evasive maneuvers following the weapon release. In short, while the pumpkin bombs were meant to be used for practice, they were also still used to aim at targets throughout Japan. J. Robert Oppenheimer believed that fifty atomic bombs would be needed to defeat Japan. Many scientists and military figures considered them as nothing more than large-scale conventional weapons. Each atomic bomb could accomplish what took a week with conventional bombing and, as the effects of radiation were still relatively unknown, there seemed no reason to withhold using them. Members of the 509th were informed that their stay on Tinian would be a long one. On August 5, 1945, a B-29 was maneuvered over a bomb loading pit and then taxied to Runway Able at North Field. 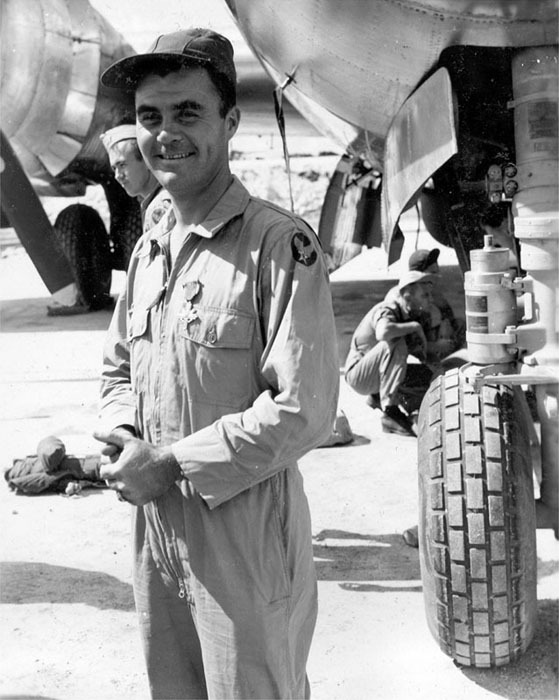 At 2:45am on August 6, the B-29 - piloted by Lt. Col. Paul Tibbets of the 509th Composite Group, who had named the plane after his mother, Enola Gay - took off. On August 6 at 8:15 am Hiroshima time, the Little Boy bomb was dropped on Hiroshima. A minute later, the bomb exploded. Three days later, on August 9, the B-29 Bockscar and support planes took off from Tinian. The "Fat Man" atomic bomb exploded over the city of Nagasaki at 11:02 AM Nagasaki time. For more about the atomic bombings and Japanese casualties, please see Bombings of Hiroshima and Nagasaki - 1945. The U.S. continued to bomb Japan with conventional bombs as well. On August 14, hundreds of B-29s from Guam, Saipan, and Tinian bombed several Japanese cities, including Koromo and Nagoya. 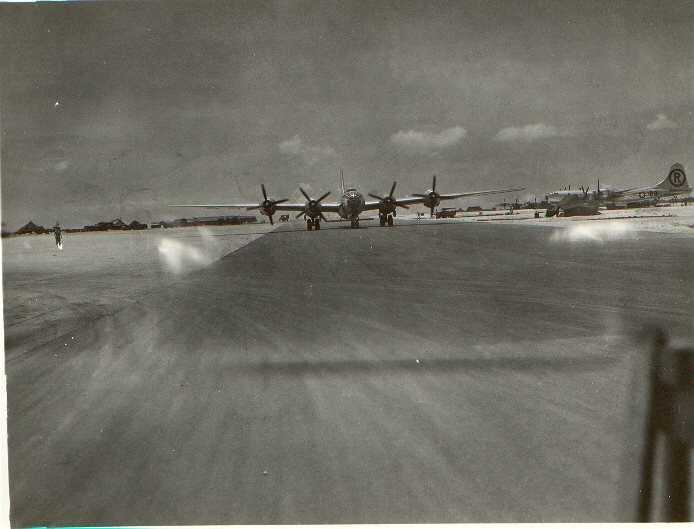 Seven B-29s with crews of the 509th Composite Group participated in the mission. The Japanese Emperor Hirohito announced the country's surrender on August 15, 1945, in his famous Jewel Voice Broadcast. 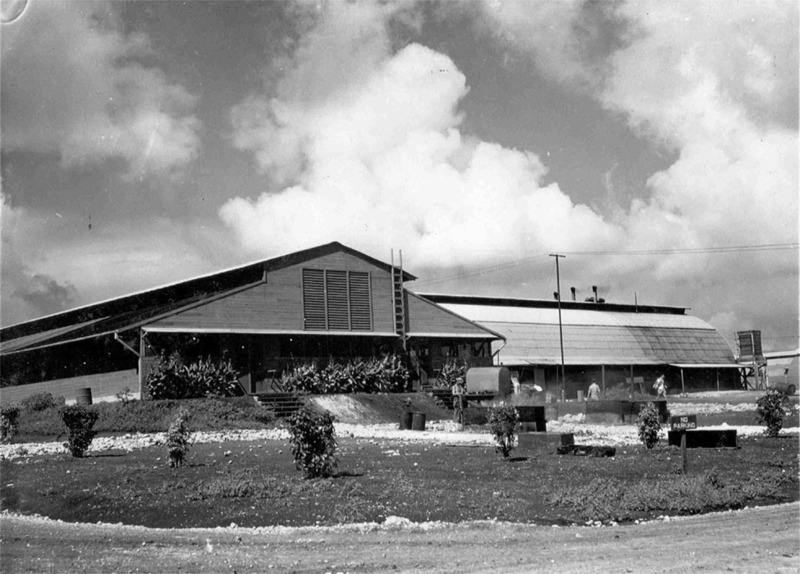 North Airfield at Tinian Island. Fat Man's implosion sphere is nearly assembled and ready to be placed inside the casing. 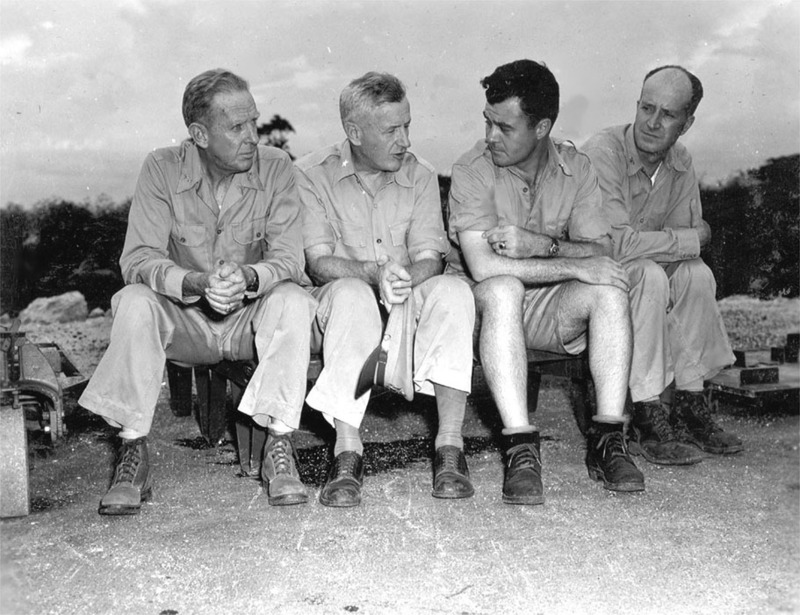 (Left to Right): Ramsey, Parsons, Kirkpatrick, Doll and Ashworth on a Tinian Patio. 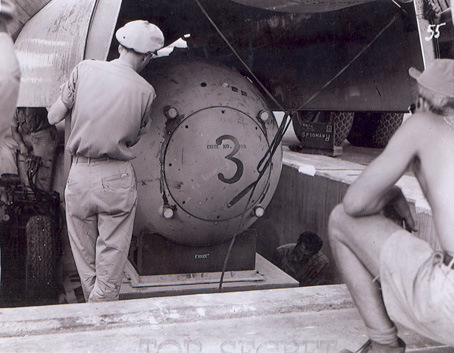 This silent footage, in both color and black and white, shows the preparation of the “Little Boy” and “Fat Man” atomic bombs on Tinian Island. It includes the takeoff and return of the Enola Gay, which dropped "Little Boy" on Hiroshima on August 6, 1945. The footage also depicts the mushroom cloud above Nagasaki.